Heading to Whole Foods? Grab a cup of coffee while you are there! 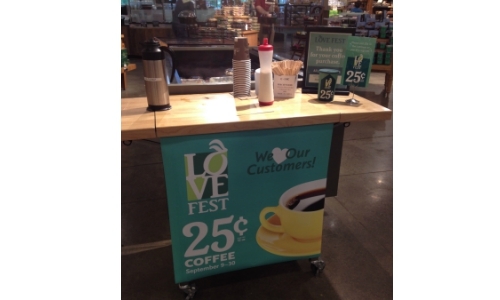 Until September 30th, you can get 12 oz brewed cups of coffee for 25¢ at Whole Foods Coffee bars. There is no limit per customer, so go ahead and have two. Right now you can get some great discounts on gift cards with a new Raise.com coupon code. Use code FALL5 to save $5 off any gift card $50 or more. You will also get $5 off instantly if you are a new user. This means you’ll pay $43.71 for a gift card that is worth $58.98. You just got $15.27 worth of free food (and you can still shop sales & use coupons)! 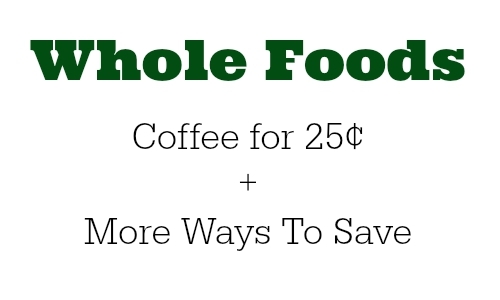 See more Whole Foods deals.